Added stripe to image. That's what I get for grabbing any 'ol flag image off Google images. I really like this design. My wife does HTV (heat transfer vinyl) for shirts and things. If I can get your file I can see if I can get it into our software and see what we can do about making some of these. Any chance you can save it as an SVG? Is there still interest in this? We also do vinyl decals so I'd be curious to see how this would turn out on some window stickers. So I got this design from Korby7 and with only a little modification I have made my first test. Decided to test it on a decal before a shirt but I wanted to share it here as I think you guys will like it. I've check with Alrocks about the use of the we address in the decal but so far Korby7 has been extremely helpful and giving with his design. So what do you think? I need to tone down the detail of the H3 and fill some of the pieces back in that didn't make it through the cutting process. My hope is that we can get this ready to go on shirts as well for anyone that might be interested. I'll start a new post for that once we get it finalized. Can we use the font "Bummer" for the URL? I think it would look much better. 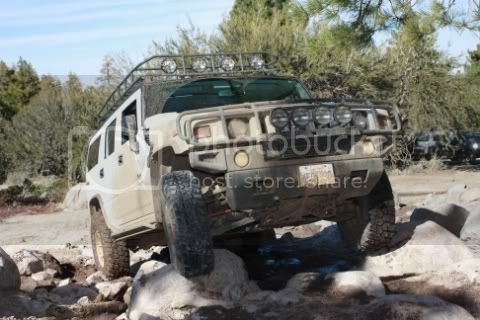 Visit Schwarttzy.com for more parts and info on the H3 Hummer. The only problem with that font is that it's pretty wide, so I had to shrink to width wise to fit. What do you think? Definitely matches the Hummer style better, good eye! I'd suggest losing the WWW. and probably could the .COM too, or make it smaller. Seems unnecessary. Then you can stretch out the rest more like Hummer font. If someone can't figure out that part, let them go to the FB pages for their info. So I have an update finally on this. I really like the design but I was having trouble with our vinyl cutter being able to get the fine detail correctly, very time consuming. So I've been looking at other options and have started a storefront on Teespring to offer these for sale. Right now I have the flag and hummer image without the forum web address, I will be adding that in very soon. There are a lot of options for shirt color and I also changed the color on the design so the options are black, white and orange. Available are short sleeve, long sleeve t-shirts, hoodies, sweatshirts, ladies and kids. Also threw some phone cases in there as it was a simple option. This is the first time for me using Teespring so bear with me as I get it figured out, I'm able to offer a promotional discount for the rest of the month to help get things rolling (promo code LAUNCH30). So take a look and browse around and see what you think, I will definitely be adding styles and graphics as I have time. The Hummer Enthusiast Hoodie in the shade of white is beautiful. Who wants to design our next shirt?